The eight transport corporations in the state together have a debt of Rs 22,000 crore, and every day, make a loss of Rs 9 crore, according to an internal report. CHENNAI: Public transport corporations across the state have quietly removed over 10 per cent of buses from their fleet in the last few weeks, which could mean that around 5,000 daily bus services were withdrawn. It is learnt from reliable inside sources that the move was to control the spiralling maintenance costs of buses since around a whopping 60 per cent of public buses are operated beyond their lifetime. The impact of the decision is already visible across the state, since buses have become increasingly crowded and many people have been forced to take costly private buses, say passengers. The eight transport corporations in the state together have a debt of Rs 22,000 crore, and every day, make a loss of Rs 9 crore, according to an internal report. The reduction in the size of fleet is aimed at reducing the maintenance cost of buses by 10-15 per cent, reliable sources said. Since many buses were being operated way beyond their lifetime and new buses were not procured for several years, maintenance costs have been draining the pockets of public transport corporations. Asked about this, a senior transport department official played down the issue, telling Express that regional-level officers are empowered to take a few administrative decisions to revamp operations. “Buses on a few routes, which continuously recorded poor collection, may have been realigned to other routes. Several routes in Salem, Coimbatore and Villupuram divisions have been transferred to other regions. But we are operating buses in full strength,” the official claimed. 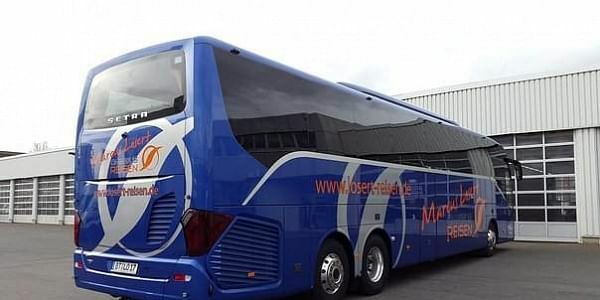 However, reliable sources say that around 2,500 buses, of the total 22,203, were removed from the fleet. Each bus plies two services a day, on an average. This could mean that at least 5,000 daily bus services were withdrawn. Each of the eight transport corporations, including State Express Transport Corporation (SETC) and MTC (Metropolitan Transport Corporation), have removed an average of 350 buses from their fleets. Commuters says the Erode-Bengaluru bus service has been recently stopped by the TNSTC, Coimbatore division and number of buses plying in the Erode-Hosur route has been visibly reduced over last one month. Besides, Villupuram and Salem divisions has reduced the services on a few routes like Salem-Bengaluru, Vellore-Bengaluru, Salem-Tiruchy, Vellore-Tiruvannamalai and Tiruvannamalai - Chennai. “The Erode - Bengaluru TNSTC bus was well patronised. But suddenly, the bus services are stopped since three weeks. With less train services, we are forced to take private buses paying excess fares,” said K Shanmugam, a regular commuter. The Kumbakonam, Madurai and Tirunelveli divisions are no different. The Kumbakonam division had cut many buses operated between Tiruchy-Hosur section, Tiruchy-Nagapatinam, Tiruchy-Dindigul. Similarly, the bus services in Madurai and Tirunelveli divisions had also been reduced in all the sections including Madurai-Rameswaram, Madurai-Nagercoil and Tiruchy-Nagercoil routes. Source said most of the buses that were cancelled catered to smaller towns like Pollachi, Palani, Ooty, Krishnagiri, Hosur, Bengaluru, Erode, Chidambaram, Rameshwaram, Kumuly, Nagapattinam, Vellore and Tiruvannamalai. State Express transport Corporation, which operates buses covering over 300 km, has also reduced about 250 buses operated to various parts including Sengottai, Tirunelveli, Dindigul, Madurai, Tiruchy and Kumbakonam. With 22 depots, including one at Thiruvananthapuram, SETC had fleet strength of 1035 buses. “However, now only about 750 buses being operated for the past three weeks,” sources told Express. The Metropolitan transport Corporation which caters to Chennai city and parts of Kancheepuram and Tiruvallur districts had cancelled about 300 buses in various routes, out of 3500 of its fleet strength.